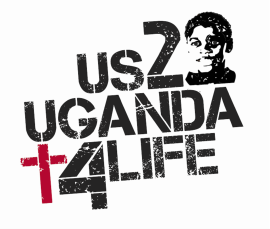 US2UGANDA4life is a grassroots, non profit organization established in 2009 that provides sponsorship support for Ugandan Children and Kalungi Medical Center and Nursing School. The co-founders Cormac & Ali O'Modhrain have been engaged in Uganda for almost 20 years and creating this non profit has only fueled their passion, friends came alongside, trips became more frequent and the teams began to expand. So many have helped and been helped by this small organization that today cares for more than 240 children, from babies to university students as well as graduates from our programs. Please explore the site, find what interests you then join us in our journey there is lots more to do. ﻿the financial model for the organization depends on child sponsorship. For just $34.00 per month we can fund the majority of the monthly expenses. Through friends, family and corporate partners we are proud to say that we have funded the monthly budgets consistently since the organizations inception. Please click on the link below and check out our video and consider sponsoring a child in need. ​is a new partnership established in January 2017 to further our goals in Uganda. It is a registered community based organization [CBO} with local leadership and a charter to facilitate all in country activities on behalf of US2UGANDA4life. This is an exciting next step as we continue to establish strong roots in the community, forge stronger partnerships with the people we trust and engage local government in our future plans. ﻿here we partner with Dr. Kizza, liaise with local government, and raise funds to facilitate capital projects at the clinic. Today the clinic is recognized by the Ugandan government as a Class Two facility. In 2012 US2UGANDA4life helped Dr. Kizza realize his dream to open a nursing school, one of only two approved in Uganda that year, and now educating 200 enrolled students annually. People are always interested in what happens to the money, there is more info on our FAQ sheet but here is the quick answer, there are no paid positions, the organization runs exclusively on volunteer leadership and 100% of every sponsorship dollar is invested in Uganda. Expenses such as bank fees [The largest expense] web hosting etc. are all funded by friends and family donations. We are passionate about inspecting what we expect so at least once each year we bring teams to Uganda to experience the work firs hand. This is an additional source of funding and education. These trips finance smaller projects, bring medical talent to work and educate at the clinic and nursing school, and most important expose more people to their mission.